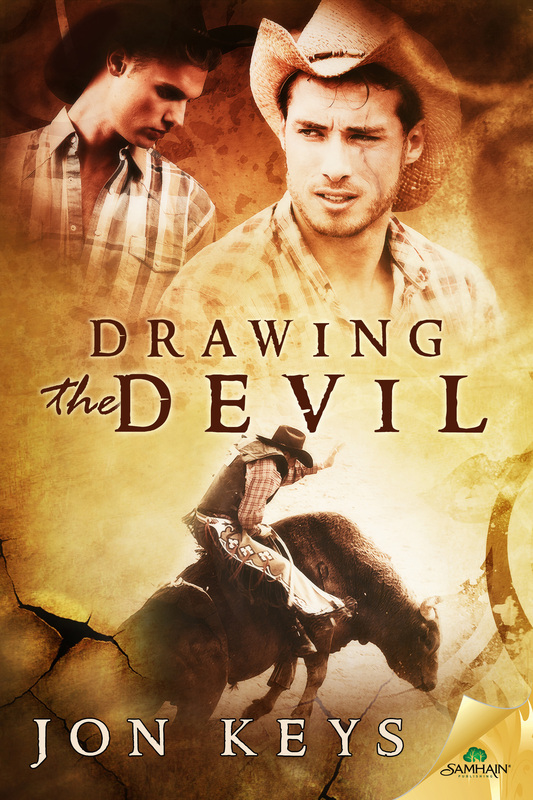 Drawing the Devil is RELEASED! Talk about a tease…it’s been six long months. But today it’s over and Drawing the Devil is available. What’s really great to me, it’s also available in print! This is the first of my books to be out in paperback. But however you’d like a copy for your reading pleasure, it’s available today. Haven’t see the promos for the novel? I’d be happy to share. A five star review for Drawing the Devil from The Novel Approach. Thanks! The rough draft of the novella I was working on as part of my NaNoWriMo is finished. Dust Devils is a retelling of Cinderella and it will be part of the Beyond Fairytales collection from Decadent Publishing. Considering it’s a rough draft, I’m pleased with how it went. Now to put it aside for a few weeks so it will be fresh when I come back to it. Now I’ll move back to my contemporary western, Camouflage. Luke and Nash have more than their share of problems. Yippee! A five star review for Drawing the Devil from GGR-Reviews.com. If you liked any of my other contemporary western/cowboy stories, you’ll like Drawing the Devil. Dustin Lewis is a barely contained twenty-one year old bullrider who was thrown out at sixteen when his father found him with another boy. He spent the years since chasing the rodeo circuit and now is in contention to qualify for the National Finals Rodeo. Shane Rees is a twenty-five year old rodeo bullfighter (rodeo clown). Shane’s family tolerates his sexuality, barely. He knows the potential consequences of being gay among the rodeo crowd and keeps his sexuality a guarded secret. When combined with the scars years bullfighting have left Shane, he has little sense of self worth.